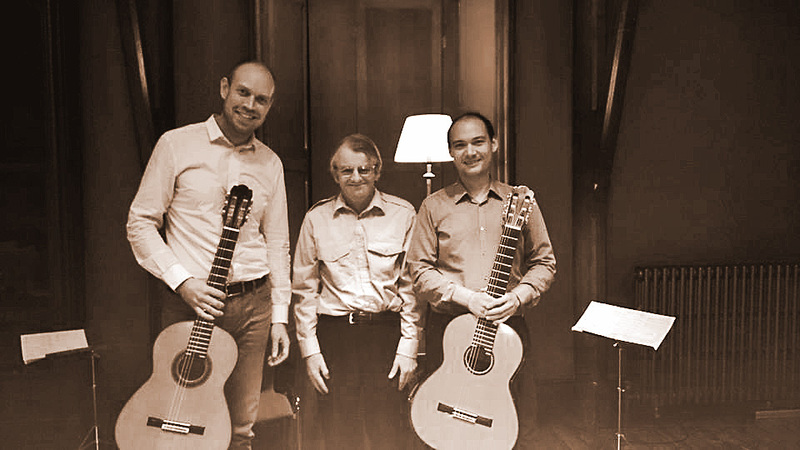 Duo Morat-Fergo is dedicated to contribute to the contemporary classical music repertory of the classical guitar. In 2017 they commissioned a piece from Irish composer Martin O'Leary. This was the first piece written for the duo and was performed during the duo's Irish Tour in 2017. A happy composer after the premiere of Schubertreise in Castle Town, Ireland. Martin O'leary with Duo Morat-Fergo. We needed a piece for the duo to match our concert programme centered around music by Franz Schubert. Eventually Martin came up with the idea of using a motiv from the a minor piano sonata D 784 by Schubert, without knowing that this sonata was one of our favorite Schubert sonatas. We were thrilled. The pieces fitted the programme perfectly, supplementing and contrasting the other pieces.